To blog or not to blog? I am not the first person to ask that question. I’m also not the first person to ask what does blog mean after all? A throw back to the early internet days when we still had to type www:// before any address. Please say it with me… World Wide Web. 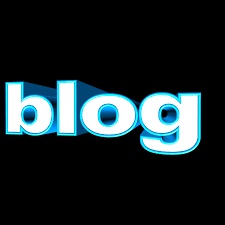 Originally known as Web Logs, the name was evolutionary shortened and became Blog. I mean really, these days Google is even too taxing. If I can’t talk to Alexa or whoever I am with at the moment; Echo, Siri, Waze Boy Band chances are, I won’t engage. It’s like the turn signal on your car, how much effort does it really take to flip the switch, and sometimes it’s just too hard, not for me, but with 100% certainty I can predict that it is for the car right in front of me. So why blog at all? If you are still reading, am I taking the words right out of your mouth? For me, it’s an act of faith, of love and of loyalty. If I sit down to write, inspiration will come. I have faith that if I write, it will matter. To be relevant, I have to show-up and write. I have to get good at it, which means practice. Even small skills, like cooking eggs, take time to perfect. If you want to get good at something, you have to practice. You have to actually do it. Making a plan and sticking to it builds character and self-esteem. So I keep to a writing schedule. Every two weeks, on a Friday, religiously I publish my blog. I want to become a better manager, leader, friend, writer, entertainer. When I write, it forces me to think about situations I am facing (or not facing as the case may be). It keeps me honest about my reactions to work issues; relationships and the world in general. It also gives me a chance to annoy you. Which is not a part of growth, just a perk. Writing takes me out of my every day and makes me think. It shows me connections and truths about my actions and beliefs. It helps me to be a better me. And of course it makes me happy. And I hope it makes you a little happy too! Read a fun blog and laugh. Read why I blog at CEO Nation – Find my Words of Wisdom in the lucky #7 slot!.